Charles Hanson and Christina Trevanion embark on a new road trip. Charles Hanson and Christina Trevanion travel from Manchester to Birkenhead. Charles Hanson and Christina Trevanion travel from Liverpool to Lytham St Annes. Charles Hanson and Christina Trevanion travel from Leeds to Penrith. Charles Hanson and Christina Trevanion travel from Harrogate to Cobridge. Anita Manning and James Lewis head from Deddington to St Albans. Anita Manning and James Lewis head from Wimbledon to Hampshire, via Surrey. Anita Manning and James Lewis visit Lacock, Bath, Frome, Swindon and Cirencester. 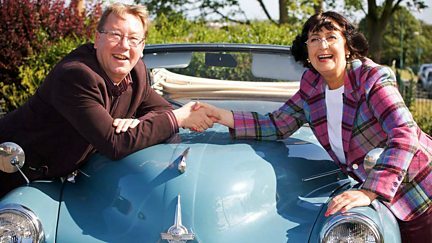 Anita Manning and James Lewis make their way through Devon, from Exeter to Chudleigh. 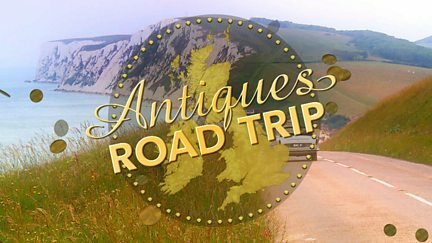 Anita Manning and James Lewis head to their final auction in London, via Portsmouth. Mark Stacey and Will Axon travel through East Sussex on the first leg of their journey. Mark Stacey and Will Axon travel across Kent before ending up at an auction in Sandwich. Mark Stacey and Will Axon head from coastal of Deal in Kent to the auction in Chiswick. Will Axon and Mark Stacey begin in Crystal Palace, before heading to Piccadilly. Will Axon and Mark Stacey travel from Gosfield to Ruislip, via St Albans. Philip Serrell and new boy Tom Scott head from St Buryan to Wareham in Dorset. Philip Serrell and Tom Scott start the second leg of their road trip in Lostwithiel. Philip Serrell and Tom Scott travel around Devon before arriving at auction in Chudleigh. Philip Serrell and Tom Scott begin at Exeter, before travelling through Dorchester. Philip Serrell and Tom Scott begin the final leg of their road trip in Southampton. Paul Laidlaw and David Harper begin their road trip in the Cumbrian town of Windermere. Paul Laidlaw and David Harper head from Sunderland to North Yorkshire. Paul Laidlaw and David Harper head from Northumberland to Dumfries. Paul Laidlaw and David Harper head from Dumfries and Galloway to Paisley. Paul Laidlaw and David Harper head from Glagow to Dundee, via Falkirk and Dunblane. Antiques experts Charlie Ross and Thomas Plant begin their road trip in Watchet, Somerset. Charlie and Thomas begin in Bath, then head up through the Cotswolds, ending up in Stroud. Charlie and Thomas visit Gloucestershire and Worcestershire before ending up in Wrexham. Thomas and Charlie visit Church Stretton, Welshpool, Oswestry, Wrexham and Minsterley. Charlie and Thomas begin in the West Midlands, then on to Lichfield, Walsall and Bedford.